We have seen many new circuits introduced into the Formula 1 programme. Some have character like Austin, Texas which includes the tarmac run-off areas, the painted strips and the introduction of purpose-built barriers to replace the tyre walls, which have been the mainstay in Motorsport. Buckmore Park is no exception, it is a historic karting venue where the very best of F1 and Indy champions learnt their skills, as well as being one of the most popular leisure and corporate karting venues in the UK. The decision was taken that we had to make Buckmore Park even more special by updating it to look like a mini Grand Prix circuit. The same contractor that carried out numerous Grand Prix track works, came to Buckmore to do the painted run-off strips following the extensive tarmacking works on the run-off areas. We also have purpose built Champion Product barriers fitted, these are all in the rebranded blue of the Team Surtees colours to reflect the new ownership. The work was all completed in time for the British Championship races and the start of the peak summer season in June 2016. We received great feedback from the racing, leisure and corporate competitors, not only from the point of view of the driving experience on the newly improved track but also the aesthetics. 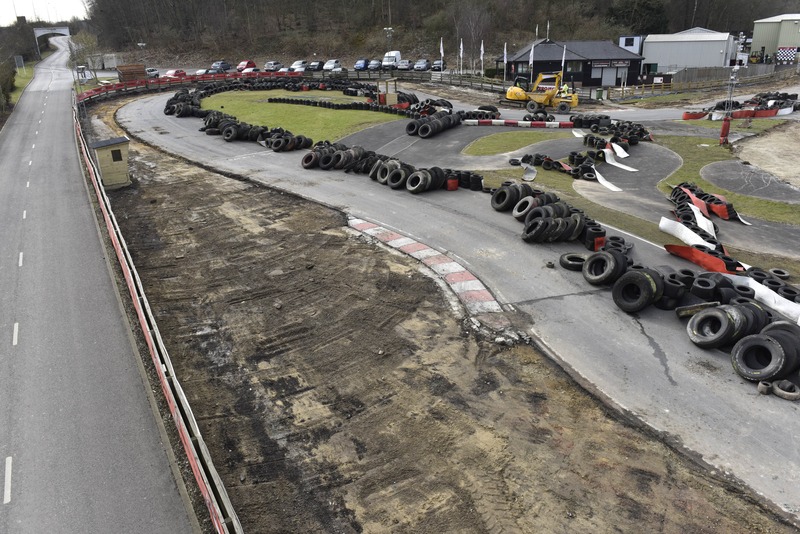 Kent, therefore, can boast not only having one of the most historic kart tracks in the world but one of the most impressive and advanced karting circuits in the world.